Two of the Top Turn Offs for Guys & Gals - Especially These Star Signs! Two Top Turn Offs For Guys & Gals – Especially These Starsigns! What are Two of the Top Turn Offs for Guys & Gals? 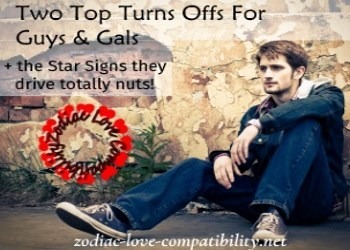 Discover two of the top turn offs for guys & gals and which star signs find these turn offs particularly intolerable. One of the biggest top turn offs for guys is a woman who is undependable and it is the same for us girls, isn’t it? 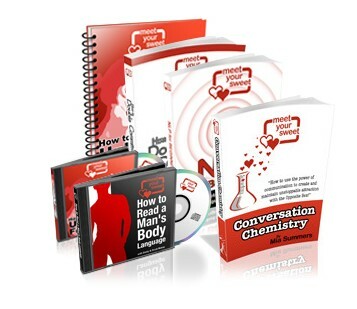 Most men/women who are looking for a long-term relationship wants someone who is reliable. Someone in whom they can trust and believe. Flighty people often don’t know how to keep their word. They mean one thing while saying something else. They can even indulge in mind games. This means that while they themselves are not dependable, they’re looking for someone they themselves can lean on and depend upon. However, the majority of decent men and women are just looking for someone who is dependable, independent and knows how to keep their word. Let’s be realistic here! It is impossible to build anything with anyone who has a life that’s out of control. They simply cannot be trusted. This means that a healthy relationship is impossible without trust on both sides. Some starsigns have more tolerance and patience with unreliable people than others. Aries likes to be well organized. So when an Aries asks for help, they expect things to be done as efficiently and quickly as they would do it. This means that when Aries is let down, or finds someone is undependable, stand by for fireworks. Aries does not hold back when enraged! If Aries thinks they have been let down be prepared to allow The Ram to calm down before an apology is even attempted. 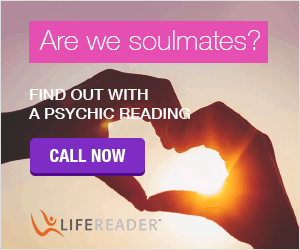 However, if you have already been dumped by an Aries because you were unreliable, then check out How To Make an Aries Man Want You Back. Taurus is very reliable. This means that the same is expected in return, or they will be very disappointed. Stand by for a confrontation if a Taurus feels let down. However, make a habit of it and another chance may not be given. 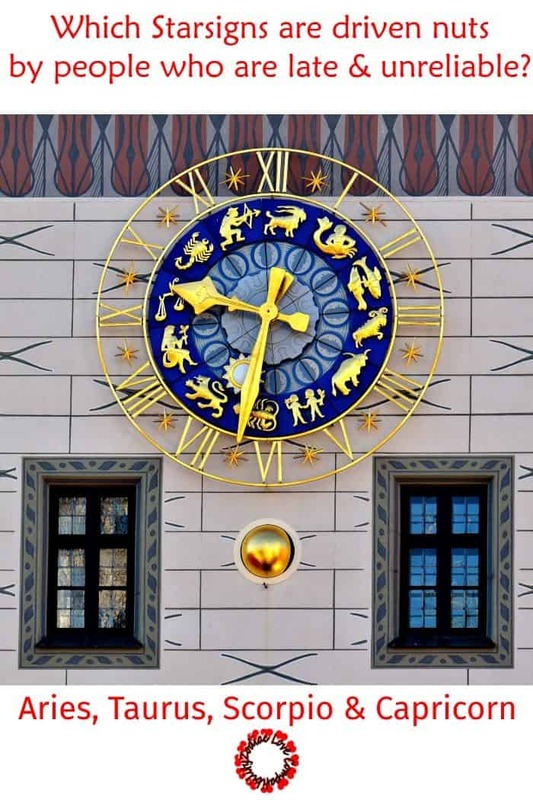 If you want to be sure that you don’t have any other habits that will turn off a Taurus, then check out this link that will tell you more about Taurus Man Secrets. Scorpio is resourceful and stubborn. Dedication is another of the Scorpio Characteristics. This means that there is an expectation that others will keep their word. Let Scorpio down and they are extremely unforgiving. 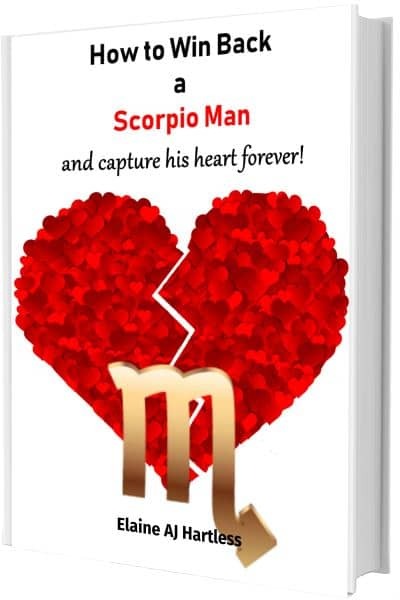 If you have been dumped by a Scorpio and want to try and get him back, Scorpio Man Secrets could help. Self-controlled and disciplined, there’s no wrath like a Capricorn’s wrath. Their look will turn you to stone! Capricorns get things done right away. This means that if a promise is made to a Capricorn the expectation is that it will be seen through. I, Gemini born on The Cusp with Taurus, was married to a Capricorn. He just could not cope with my scatty personality. However, in turn I could not cope with the pressure to conform to the way he wanted to do things. Unsurprisingly, it did not last! 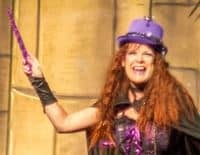 By the time my marriage was over, there was no way I wanted to get back with him. However, if I had wanted to give it another go, then Capricorn Man Secrets may have helped! The second of these two top turn offs for guys & gals is being demanding and clingy, or both! Someone who’s too clingy isn’t normally dependable. This is because the strong partner in the dating relationship will constantly have to reassure the clingy one. There will also be a need to constantly feed a constant craving for reassurance and company. Even when it is not happening, the insecurities of clingy people can be overwhelming. A healthy dating relationship needs to be a two way street, with trust on both sides. I had a friend who hooked up with a demanding and clingy partner. We would go for a Girls’ Night Out, with other friends and she would have to send him a selfie to prove she was with us and that she was actually where she said she was going! Another time she went to see a friend who is a Psychologist but she told him she was with me, because she knew her partner would not like it! It is important that each person in a relationship should have a circle of their own friends. They also should have friends they enjoy seeing as a dating couple. Both need to have outside interests and this includes different friends. Separate interests can help a dating relationship stay fresh and seem more interesting. It is important for both men and women to maintain identity and friendships and not sacrifice them just because you want to spend more time together. Aries are very self-orientated and won’t even think about wasting time worrying about someone else. Being clingy is a very immature trait in the eyes of an Aries. Aries is usually respectful of their partners but it is crucial to give them space and allow them to have some independence. 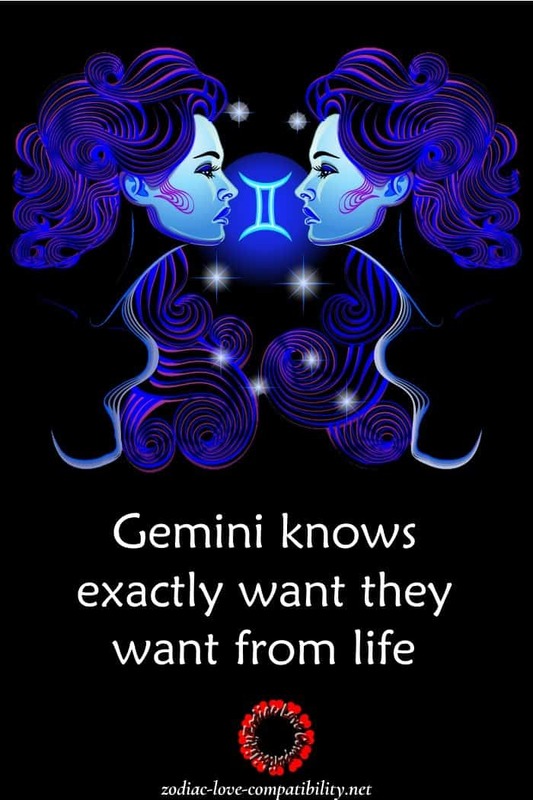 Gemini knows what they want from life. Period. This means that if Gemini thinks that they are into you more than you are into them, then it’s curtains. The Twins need lots of personal space. The minute they suspect anyone is trying to tie them down and cramp that space, they will feel trapped. 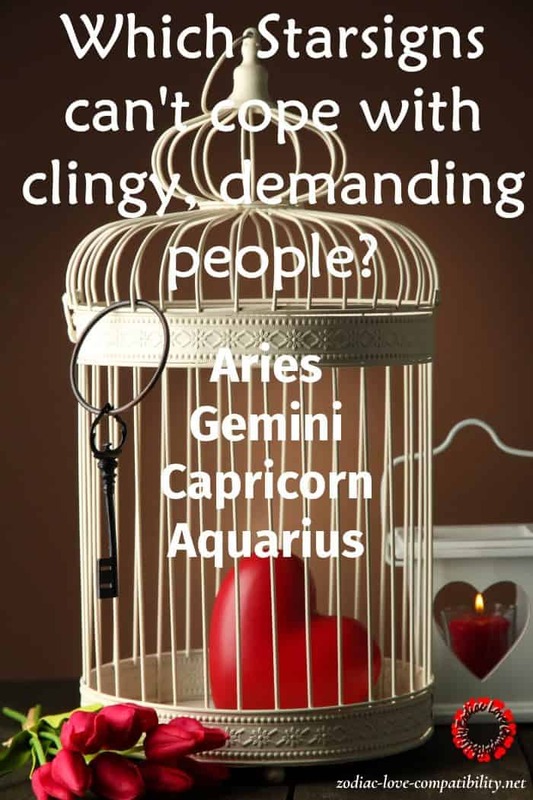 Clingy people make Gemini feel trapped. This is because they want fun, not an insecure partner who needs reassurance and nurse-maiding all the time. Traditional Capricorn has lots of self-control and will find it hard to display affection, even when they are deeply in love. However, one of their biggest fears is looking bad and they find public displays of affection embarrassing. This means that get clingy with a Capricorn and they will create distance. Enigmatic Aquarius is someone who everyone would like to be able to understand. On the surface they will hide their feelings. This means that any potential partner will find it very difficult to tell if their Aquarius even likes them. It’s no surprise that Aquarius would never be clingy. Aquarius enjoys independence and only those closely involved with them will have any clue whatsoever as to what’s really going on with them. However, Aquarius can be very affectionate in private. Have you found it impossible to tolerate anyone who is undependable, demanding or clingy? Previous PostAries Quiz – Astrology Knowledge Quiz 2 (Beginner Level)Next Post5 Reasons Why Capricorn Men Disappear & How To Stop Them!